The Swiss town of Davos was once famed as a sanatorium. It provided pastoral balm for mental breakdown (Ernst Ludwig Kirchner), relief from chronic illness (Aby Warburg), and an Alpine antidote to tuberculosis (Robert Louis Stevenson finished Treasure Island there). This concentration of ailing artists and intellectuals produced its own distinctive cultural life, immortalized by Thomas Mann in 1924 in The Magic Mountain. The novel’s protagonist, Hans Castorp, is at Davos to cure a lesion on his lungs. His extended convalescence serves as the stage on which an Enlightenment rationalist and a nihilistic defrocked Jesuit—personifications, to put it crudely, of two powerfully opposed intellectual camps in Europe between the wars—engage in a contest for the young man’s soul. Of the four meetings, the memory of the philosophical one proved the most enduring. The event already seemed a watershed to the hundreds of people, many of them philosophers, who witnessed it, and it came to seem more and more repercussive in the years and decades that followed. Emmanuel Lévinas later recalled that “a young student could have had the impression that he was witness to the creation and the end of the world.” Peter E. Gordon’s extraordinary book helps us to share that feeling. Each of its pages of sustained philosophical explication excites and astonishes, and in the process teaches us new ways of thinking about the history of ideas. There was drama built into this debate between the two most eminent philosophers of their time and place, not least because one of them, Ernst Cassirer, was a Jew who seemed in hindsight to be warning of disasters to come, while Martin Heidegger’s call for a philosophical revolution seems to foreshadow his coming embrace of anti-Semitism and the Nazi Party. But the thrill of Gordon’s pages does not depend upon this drama: it derives from the grandeur of the ideas themselves. And this grandeur emerges not by anecdote or what today is meant by “human interest,” but from the clear exposition of the philosophical questions at stake. What a piece of work is a man, how noble in reason, how infinite in faculties, in form and moving how express and admirable, in action how like an angel! In apprehension how like a god! The beauty of the world, the paragon of animals—and yet, to me, what is this quintessence of dust? The infinity open to godlike reason, the inescapable finitude of mortal dust: these were also the poles that charged the debate at Davos. For the philosophers there, however, it was not Shakespeare whose memory echoed in the question of what is man, but Kant, who had explicitly posed it at the end of the eighteenth century. The Davos debate is often presented as a confrontation between schools of thought with nothing in common: philosophies of reason and unreason, of humanism and anti-humanism, of Enlightenment and its enemies. Gordon is more subtle. He approaches it instead as a dispute over the value of Kant’s legacy to modernity, in which both sides lay claim to a common inheritance. The senses, although they are necessary for all our actual knowledge, are not sufficient to give us the whole of it, since the senses never give anything but instances.... Necessary truths, such as we find in pure mathematics, and particularly in arithmetic and geometry, must have principles whose proof does not depend on instances, nor consequently on the testimony of the senses. The empiricist counters, as Hume did, that these tools of the mind can only establish “relations of ideas,” never empirical matters of fact. “That three times five is equal to half of thirty expresses a relation between these numbers,” Hume declared. “Propositions of this kind are discoverable by the mere operation of thought, without dependence on what is anywhere existent in the universe. Though there never were a circle or triangle in nature, the truths demonstrated by Euclid would forever retain their certainty and evidence.” Such relational truths give us no substantive knowledge of the external world. Substantive knowledge of the world comes only through the receptivity of our senses to that world. It is therefore embodied and inescapably finite: a quintessence of dust. One of Kant’s many philosophical achievements was to synthesize and to transcend these positions. He granted pure reason its powers—“mathematics gives the most resplendent example of pure reason happily expanding itself without assistance from experience”—while sharply restricting its jurisdiction. Kant’s pure reason suffices to understand objects, like those dealt with by mathematicians, which are constructed by means of axiom and deduction, entirely out of our own intuitions. But the objects of metaphysics are not so constructed. In seeking knowledge of such objects, the intuitions and the axioms of reason cannot be assumed. Too often, according to Kant, philosophers and theologians have done precisely that, making the long history of metaphysics a history of error. But neither can metaphysical questions be answered by pure empiricism, entirely out of our sensible experience of the things of the world. Kant agreed with Leibniz that experience yields only contingent facts, not the necessary truths that he associated with metaphysics. Moreover, as Kant put it in his famous “Copernican hypothesis,” certain essential aspects of the structure of our experience, such as its temporality, suggest that our experience is subjective: it is relative to our standpoint as observer. For Kant, this meant that we should distinguish between objects as we experience them and the things-in-themselves, “beyond the bounds of experience,” to which we have no direct access. What it did not mean, for Kant, is that all knowledge is subjective or relativistic. In certain domains of knowledge—the theological, for example—no certain knowledge was possible. But in other domains—such as the ethical and scientific—objective and universal truths could be reached if the faculties, properly understood, were placed in a mutually critical relationship to each other, with each respecting the limits of its jurisdiction. Reason, in order to be taught by nature, must approach nature with its principles in one hand, according to which the agreement among appearances can count as laws, and, in the other hand, the experiment thought out in accord with these principles—in order to be instructed by nature not like a pupil, who has recited to him whatever the teacher wants to say, but like an appointed judge who compels witnesses to answer the questions he puts to them. Pressing as these questions were when Kant was writing, during the death throes of the ancien régime, they were even more acute at Davos, with modernity indisputably wracked by crisis. Many in the 1920s agreed with the philosopher Max Scheler—later the subject of Pope John Paul II’s doctoral dissertation—that “at no time in history has the human being become so problematic as in our contemporary age.” Theirs was certainly not the first age to feel this way, but they had reasons for the sentiment. World War I destroyed Europe’s confidence in the old material forms of its modernity, while at the same time ushering in an age of sharp struggle between new articulations—such as capitalism and Marxism—of the same. Moreover, the truth claims of science—which underpinned both capitalist and Marxist ideologies, as well as many others—had only grown since Kant’s day. One science above all was particularly disturbing to the participants at Davos: not the new science of evolutionary biology, whose claims about the human animal had just caused consternation in a courtroom in Tennessee, but the old science of mathematics, whose victories tempted humanity more than ever to think of itself as divine. As for relativity, it posed a challenge not to mathematics but to matter. The new physics of the late nineteenth and early twentieth centuries increasingly mathematicized the objects it studied, from the smallest (elementary particles) to the largest (the universe itself), until the quiddity of the cosmos, the very idea of metaphysical substance, disappeared into conceptual function. As Cassirer put it in an essay on Einstein’s theory of relativity, “no sort of things are truly invariant but always only certain fundamental relations and functional dependencies retained in the symbolic language of our mathematics and physics.” Space, time, matter: these were not metaphysically real substances or containers, but ideas of relation conceived of and expressed in the symbolic language of mathematics. The “infinite in reason,” in Hamlet’s terms, threatened to sweep away dust itself. By “symbolic form” [is meant] that energy of the spirit through which a mental meaning-content is attached to a sensual sign and inwardly dedicated to this sign.... Our consciousness is not satisfied to receive impression from outside, but rather ... it permeates each impression with a free activity of expression. In what we call the objective reality of things we are thus confronted with a world of self-created signs and images. 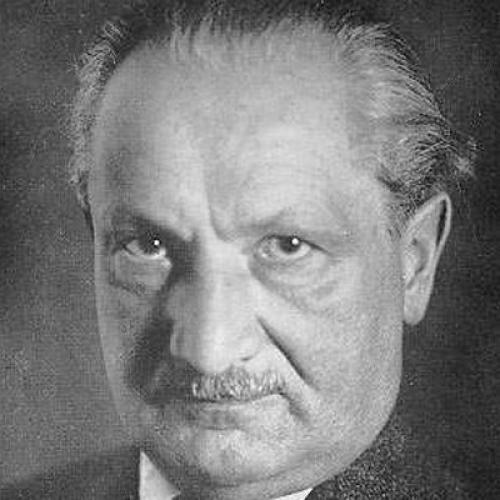 For Heidegger, by contrast, man was the “lieutenant of the nothing.” Finitude was the fundamental attribute: “the essential dependency of the human being on what is disclosed within experience.” As he put it in “What Is Metaphysics?”, delivered shortly after the Davos debates: “We are so finite that we cannot even bring ourselves originally before the nothing through our own decision and will.... Our most proper and deepest finitude refuses to yield to our freedom.” The abyss of “the nothing” is the grounding condition of Being. Mathematics cannot think this Nothing—it is not negation, zero, or the null set—and logic cannot conceive of it without contradiction. This ground of our Being is beyond the reach of reason. In fact, our emphasis on scientific reason blocks our path to it. All previous metaphysics had repressed this disturbing truth, preferring fantasies about achieving freedom from finitude through thought. But, said Heidegger at Davos, Kant had glimpsed the truth, and had looked into the abyss beneath the throne of reason. Had he not claimed, in the Critique of Pure Reason, that “time is the formal condition a priori of all appearance whatsoever”? This implied that our ontological knowledge is bound to our finitude. In the first edition of the Critique, in 1781, Kant had even called the imagination a “third faculty,” placed between the sensibility and the understanding, and charged with the crucial role of providing concepts of the understanding with a temporal synthesis. The common Kantian ground that Gordon skillfully discovers beneath the two philosophers makes new questions perceptible: How did their ideas come to stand in such intractable opposition to each other? How did their encounter come to represent the rupture between rationalism and un-reason? And more generally, how does a philosophical debate become an allegory for the vital conflicts of an age? How do philosophical concepts engage with culture, and ideas inscribe themselves in history? Gordon is not satisfied with the old answers to these questions. After his brilliant reading, we can no longer simply ascribe Heidegger’s and Cassirer’s differences to inimical philosophies. Nor should we explain Heidegger’s (or Cassirer’s) philosophy and its resonance (or lack thereof) among contemporaries entirely in terms of their social and political background and commitments, as Pierre Bourdieu tried to do. If philosophy is merely an encryption of particular political constellations, then power is the only arbiter between ideas, and the ideas themselves lose all importance. In order to answer these questions, Gordon suggests, we need to focus on “how concepts ramify.” Ramification, he explains, is “what happens when philosophers begin to imagine the manifold of connections between their own arguments and the world they inhabit.... To observe this strategy is to understand nothing less than the historical inscription of ideas.... to follow philosophical concepts themselves as their meanings branch out into the wider world to which they already implicitly belong.” Or as he puts it later, “philosophy partakes of common memory the moment it begins to ramify into the broader narrative of human affairs.” Continental Divide is both a case study and a methodological manifesto, an account of the ramifications of the philosophical debate at Davos in the fateful decades that followed: the different uses to which it was put, the new meanings that it generated, the barnacles of memory that encrusted it over time. Gordon’s manifesto will resonate with historians of my generation, who often prefer to reconstruct the sense of an idea from the immediate context in which it was uttered, rather than tracing formal continuities across time or summoning shades from previous lives these ideas may have had. “Ramification” will be a welcome addition to the tools with which we emancipate ideas from the tyranny of an over-determining past. But perhaps we should admit that every item in this tool kit carries with it the risk of underestimating the degree to which what can be thought and what has been thought inform each other. (As Eliot famously wrote, “the past [is] altered by the present as much as the present is directed by the past.”) To this general risk it seems to me that “ramification” adds another—in fact the very one it seeks to escape: the danger of choosing arbitrary origins for our histories. “Ramification,” after all, is about beginning and becoming: “begin to imagine,” “begins to ramify,” “becomes ... embroidered.” It is not only the organic metaphor that is teleological, but also the hope that it articulates for history itself: that by “observing this process” unfolding, we could de-historicize the philosophy, returning to its “actual significance,” to ideas innocent of history. Of course Gordon is aware that the present is, in words he quotes from Leibniz, “laden with the past and pregnant with the future.” He does warn us that “it would be foolish to believe in a pristine moment of philosophical meaning.” But this comes in the same breath and on the same page as his claim that philosophy partakes of memory “the moment it begins to ramify,” as if there were ever a moment in which philosophical concepts were not already dragging their past along with them. How might a historian identify such a moment? Gordon does not tell us. But it is clear that he does not have much patience for those, such as Hans Blumenberg, who made sense of the conflict between Cassirer and Heidegger by looking into what he calls the “hoary quarrels” of a deeper past. His own choice of starting point seems to be the debate itself: from its buds his branches grow, month by month and year by year, until they reach the reader. The procedure is strikingly future-oriented. Like Prometheus, Gordon looks forward from the stage at Davos and forgets his bumbling brother Epimetheus, who is always looking back. Yet the interdependence of past, present, and future seems to me to require the union of both. Christianity celebrated that union under the name of allegory. All the more striking that allegory is the name Gordon gives to the error—the confusion of philosophy with politics and history—against which he is inveighing. Chief among these confusions were those produced by anti-Semitism. Since Cassirer’s Jewishness and Heidegger’s Nazism are the opera glasses through which more and more people came to view the debate, “Jewish questions” are prominent among those that Gordon must ask in his attempt to re-discover the “actual significance” of the ideas that were expressed at Davos. Were these ideas already intertwined with “Judaism” and “anti-Semitism,” or were those later ramifications? It is in the asking and the answering of these questions that the limitations of the Promethean approach become most clear. Gordon wittily points out that the question is over-determined: even the etymology of the protagonists’ surnames can be made to perform the mythic opposition between the money-grubbing Jew and the forest German. “Cassirer itself marks a connection with merchants and cashiers; the name Heidegger carries a trace of woodsmen and uncultivated terrain.” He also notes that there were earlier moments when Kantianism and Judaism were linked to one another. Immediately following the German defeat in World War I, the neo-Kantianism of Cassirer and his colleagues was attacked as “Jewish formalism,” and the editorial board of their academic journal, Kantstudien, was labeled “Jew-ridden,” and no less a scholar than Ernst Troeltsch condemned the scholarship that appeared in its pages as “Jewish terrorism.” Cassirer gave a great deal of thought to these attacks. In his rebuttal (unpublished until 1991) to the charges against Kantstudien, and in his book Freedom and Form: Studies in German Intellectual History in 1916, he articulated an alternative history of “German” thought, one in which formalism was not a “Jewish” alien. For Gordon, however, these were aberrations, moments of nationalist crisis with little impact on the future: “Such scandals were rare and the journal continued to enjoy an uncontested prestige well through the 1920s.” Two hundred pages later, Gordon puzzles over Cassirer’s claim at Davos that “Neo-Kantianism is the scapegoat of the newer philosophy.” “Scapegoat” was a word used to describe anti-Semitism: “Did Cassirer mean to suggest that Heidegger’s own hostility toward neo-Kantianism was a mask for bigotry? The issue remains obscure.” As clarification he tells us that “Cassirer’s sensitivities ... were no doubt heightened” by the philosopher Othmar Spann’s denunciation, a few months before the Davos debate, of neo-Kantianism and its “foreign” leader Cassirer at a meeting of the Kampfbund für deutsche Kultur (Fighting League for German Culture). Why not mention here the history of such scandals, or ask what traces that history might have left on Cassirer’s understanding—or, for that matter, on Heidegger’s—of what was being enacted at Davos? Why did Heidegger, acknowledged by 1932 as the brightest star in Germany’s philosophical firmament, not bother to rebut a critical review by a Jewish rival entering eclipse? I can imagine more strategic reasons than deference and admiration. Still, no amount of attention to Heidegger’s behavior, whether polite or impolite—one reporter amusingly described the Davos debate as “two spoken monologues, between a very nice man [Cassirer] and a very violent man, who, however, made a terrible effort himself to be nice”—can suffice to answer the questions about the relationship between Heidegger’s philosophical ideas and his anti-Semitism. For this we must look at the ideas themselves. And here, I think, we should also look at the history of those ideas, for it may be that the meanings of those ideas are not independent of the work they had done in the past. Long before the disputation at Davos begins its ramifications, at the very foundations of modern German philosophy, the debate about the relationship between man “noble in reason” and “quintessence of dust” was cast in Jewish terms. Both Heidegger and Cassirer were deeply learned in the history of their own discourse. Can we determine the resonances that they intended their words to have if we ignore that history, and look only forward from their utterances? When Heidegger said of Cassirer’s philosophy, in 1929, that “in itself it blocks the path” to a deeper understanding of human existence, that it “unties us from ourselves.... [so that] our flight and disorientation, the illusion and lostness become more acute,” should we hear echoes of Hegel’s lifeless “Jewish principle”? Does Heidegger’s curt dismissal of Cassirer’s argument at Davos about the importance of symbols and language as mediators of experience—“mere mediation will never amount to anything productive”—draw its energy from a longer history of Christian stigmatization of symbolic mediation as “Jewish”? Jewish “mediation,” “Jewish formalism,” the “Jewish principle of opposing thought to reality”: in the early twentieth century, the “Jewishness” of some of these “principles” was so well-established that it did not need to be made explicit. Marx aimed to shock in 1844 when he represented the alienation produced by the mediation of money within bourgeois economic rationality in terms of Christian society’s adoption of the Jewish god. Heidegger was more discreet when he complained—surely with Cassirer in mind—that “the greatness of finitude has been downgraded through a false and deceptive infinity.... Man is not the image of a god conceived in the sense of the absolutely bourgeois, but this latter god is the ungenuine creation of man.” Did Heidegger, despite his discretion, consider this “false and deceptive infinity” a “Jewish principle”? We cannot ask that question, let alone answer it, unless we consider the possibility that infinity and finitude—like reason and sense, freedom and law, spirit and letter, and many other basic antinomies of philosophical thought—were intertwined with a history and politics of “Judaism” long before Heidegger spoke these words in 1930. Gordon ignores this intertwining, in part because his goal is to emancipate philosophy from history and politics: “the ultimate tragedy of the Davos encounter is not that it ended in victory for politics of the wrong kind. The deeper tragedy is that it ended in politics at all.” In his concluding lament, Gordon writes that “the politicization of this debate was a tragedy, not a grandly Shakespearean tragedy, to be sure, though a tragedy all the same, because it conspired to obscure our appreciation for the substantive questions at issue.” I sympathize with the yearning, but this absolution of philosophy is too easy. The tragedy does not lie outside philosophy—somewhere in the realm of the political, where ideas ramify and get inscribed in history—but also deep within it. We can find it buried in a single word uttered by both philosophers on the stage of Davos. “Mere” may be the most tragic word in the history of philosophy. “Mere life,” “mere appearance,” “mere idea,” “mere reason”: it is through this meek adjective that philosophy from Plato to the present has articulated its hierarchies and its discriminations, exalting some aspect of the human and stigmatizing another. Of the protagonists at Davos, Heidegger was by his own confession the more violent, and also the more dualistic, especially in his insistence on separating authentic Being from scientific reason. It is therefore no surprise that the word “bloß,” “mere,” flowed freely from his lips and his pen. Cassirer was much more committed than Heidegger to Kant’s conception of humanity’s dual citizenship: its participation in finitude through the “external world of sense,” which “annihilates ... my importance as an animal creature”; and its membership in a “world which has true infinity,” that “infinitely raises my worth” and “reveals a life independent of all animality and even of the whole world of sense.” Yet he, too, spoke of “merely vital power,” “mere action and comportment,” “mere subjectivity,” “merely temporal existence,” “mere phenomenal existence,” making clear which citizenship (again like Kant) he valued more. “What a piece of work is man.” Confronted with the competing claims of infinity and nothingness, philosophy as tragedy pits one against the other, seeking signs of truth in the outcome of a battle for priority. But there is no “mere” to the claims of reason or of sense, of spirit or of flesh. Both are essential to us, and the victory of either can only leave “man” maimed and divided. Perhaps Davos can best serve philosophy as an allegory of the “mere” and its dangers, and as a reminder that tragedy is not the only genre available to it. It could also say, as Cassirer almost said and Heidegger never did, “this thing of darkness I acknowledge mine.” The result would be a different play. David Nirenberg is Deborah R. and Edgar D. Jannotta Professor in the Committee on Social Thought and the Department of History at the University of Chicago. This article ran in the February 3, 2011, issue of the magazine.